Sometimes it can be difficult to find out what is going wrong in your app once it becomes too complex. 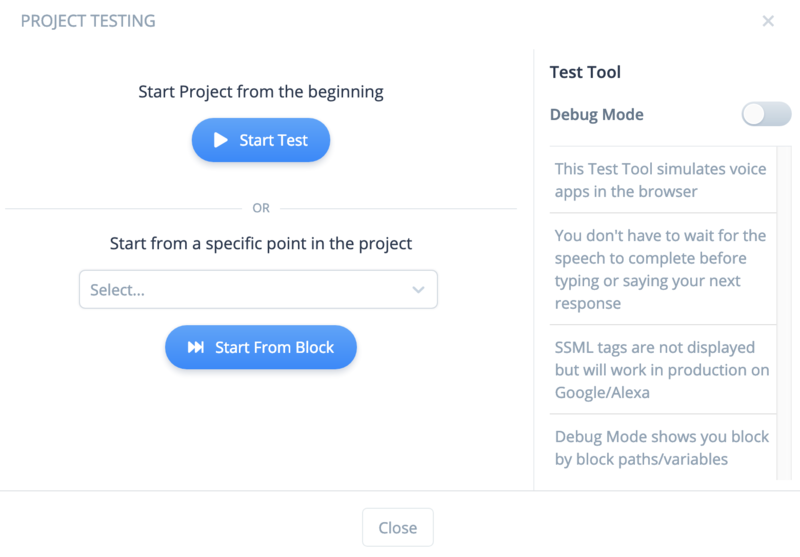 Our built in debugger helps you troubleshoot your skills easily. 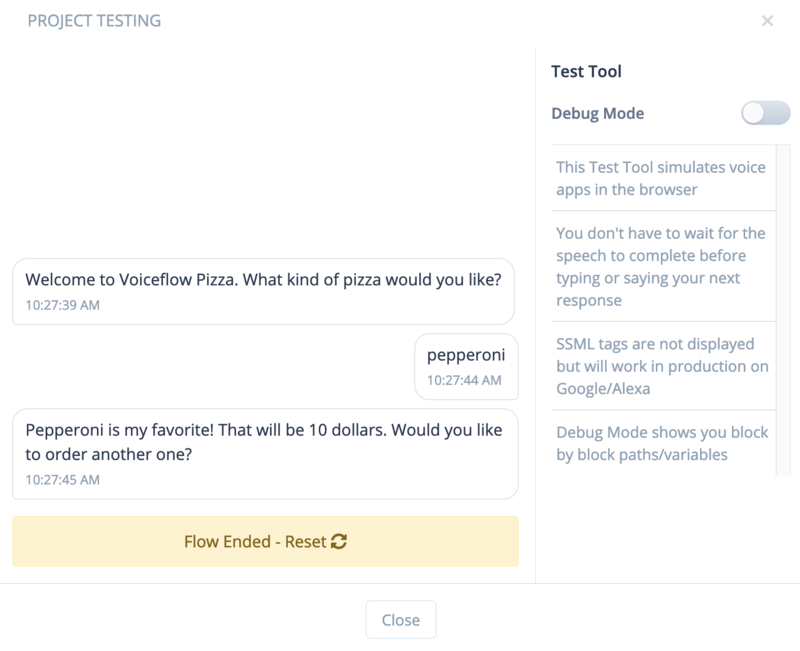 To get started, head into the Test tool and hit "start from the beginning"
We've set up our skill to ask for types of pizza that a user wants and are taking in any input. This can lead to a lot of problems if we don't handle all possible cases. 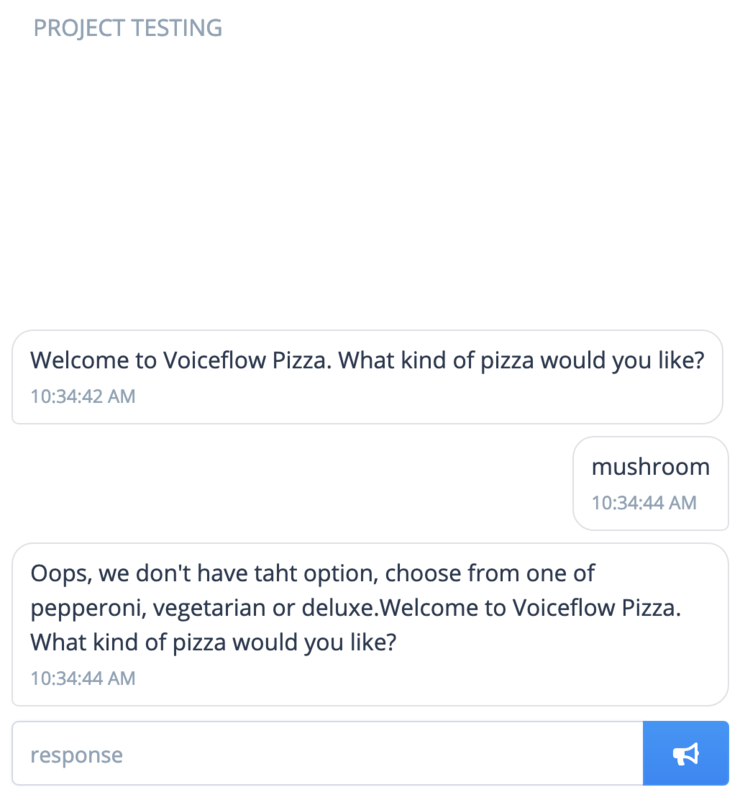 Here we see that the skill works fine because we have chosen pepperoni as one of the possible options. When we are given an option that we haven't accounted for, like "mushroom", our skill crashes. To investigate more, lets turn on the Debug Mode toggle. Note that the value of our variables is tracked throughout the session. This will be incredibly useful when trying to find when values are being set. 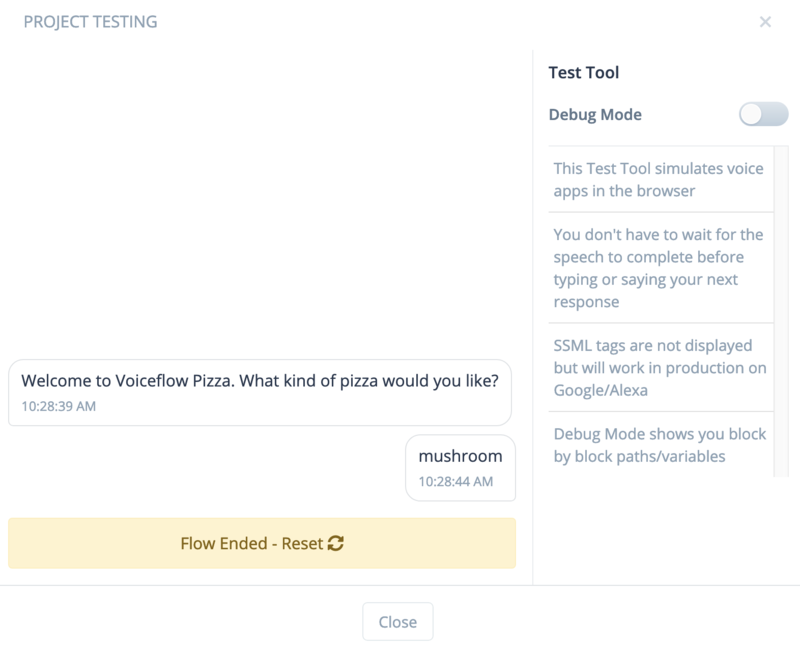 Now we can see that we can see a step by step of what variables are being set, what logic is being evaluated and whether we are waiting for a response. 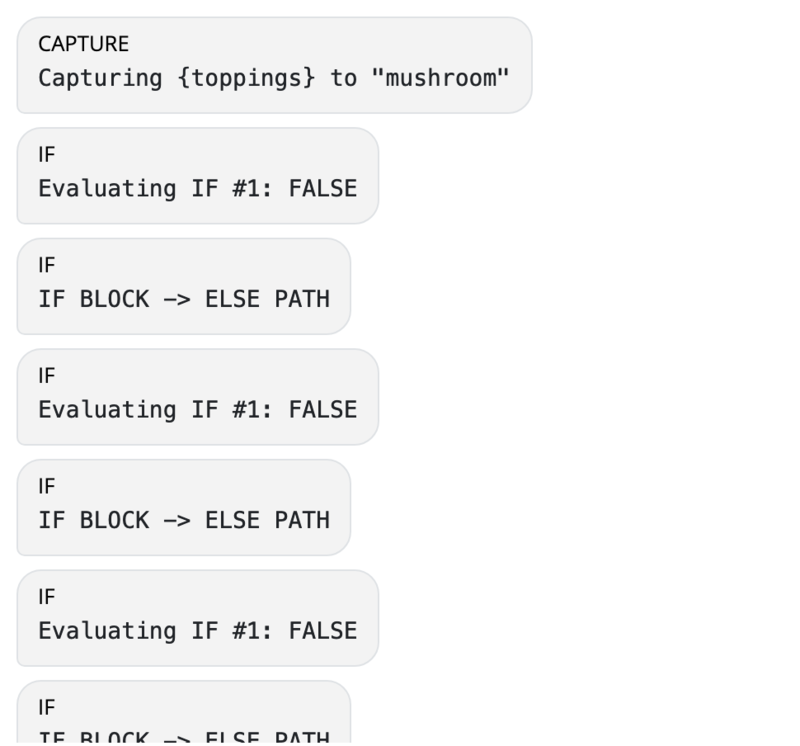 We can see that our skill set the variable "toppings" to "mushroom" and how it moves on to the upcoming if blocks but hits false through all of them before finally exiting the flow. Now that we know exactly where we are going wrong, we can handle it accordingly. 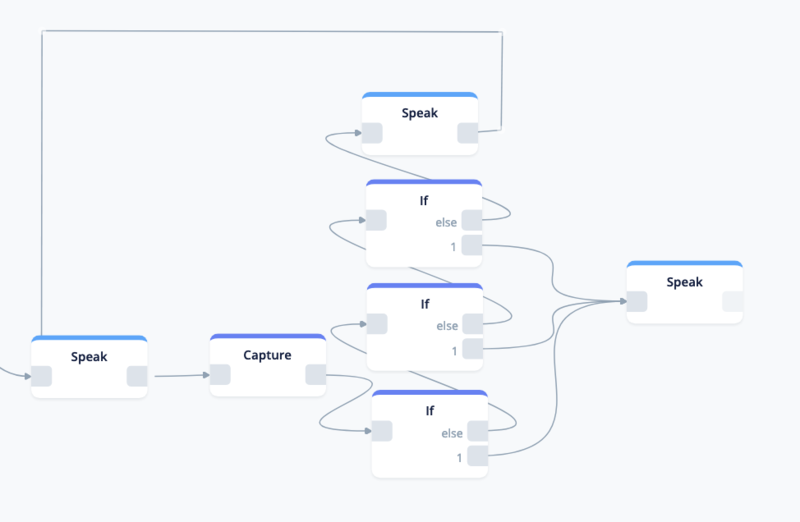 Because we can not handle every possible input that a user can give us inside a capture block, the best scenario is likely to have an else path that guides what users should be saying.